Although the title of Jacques Derrida’s The Animal That Therefore I Am was intended as an ironic stab at Descartes, one should perhaps take it with a more literal naivety – the Cartesian cogito is not a separate substance different from the body (as Descartes himself misunderstood cogito in his illegitimate passage from cogito to res cogitans) – at the level of substantial content, I am nothing but the animal that I am. What makes me human is the very form, formal declaration, of me as an animal. Such a negative characterization of animals (speechless, worldless…) engenders the appearance of a positive determination which is false: animals as captured by their environs, etc. Do we not encounter the same phenomenon in traditional Eurocentric anthropology? Viewed through the lenses of the modern Western “rational” thought as the standard of maturity, its Other cannot but appear as “primitives” caught into magic thinking, as those “really think” that their tribe originates from their totemic animal, that a pregnant woman was inseminated by a spirit and not by a man, etc. Rational thought thus engenders the figure of the “irrational” mythic thought – what we get here is (again) the process of violent simplification (reduction, obliteration) which occurs with the rise of the New: in order to assert something radically New, the entire past, all its inconsistencies, has to be reduced to some basic defining feature (“metaphysics,” “mythic thought,” “ideology”…). Derrida himself enacts the same simplification in his deconstructive mode: all the past is totalized as “phallogocentrism” or “metaphysics of presence,” which – it can be argued – is secretly modeled upon Husserl. (Derrida goes here against Deleuze and Lacan who treat philosophers one by one, without totalizing them.) Is it not the same to oppose the Western Judeo-Greek legacy to the “Oriental” stance, thereby obliterating the incredible wealth of positions covered by the term “Oriental thought”? Can we at all put into the same category, say, Upanishads with their “corporate” metaphysics of casts and Confucianism with its agnostic-pragmatic stance? (Marx dropped this sentence from the second edition, where he rearranged the first chapter.) This image of money as “the animal” romping alongside all the heterogeneous instances of particular sorts of animality that exist around it, does it not lend itself to capture what Derrida describes as the gap that separates the Animal from the multiplicity of actual animal life? 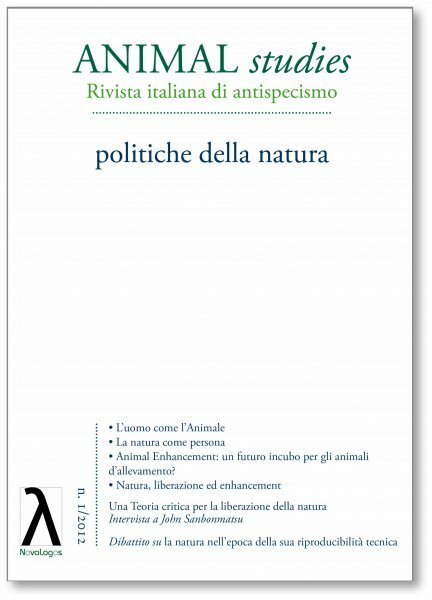 In Hegelese again, what man encounters in THE Animal is itself in the oppositional determination: viewed as an animal, man is THE spectral animal existing alongside really-existing animal kinds. Is this not also how we could give a perverse twist to the early Marx’s determination of man as Gattungswesen, a being-of-species: it is as if, along particular subspecies, the species as such comes to exist. Perhaps, this is how animals view humans, this is the reason of their perplexity. The key point here is that it is not enough to say that, while such a determination of animals as speechless etc. is wrong, the determination of humans as rational, speaking, etc., is right, so that we just have to provide a more adequate definition of animality – the entire field is false. This falsity can be thought in the terms of the Kierkegaardian couple of becoming and being: the standard opposition animal/human is formulated from the perspective of the human as being, as already constituted; it cannot think the human in its becoming. It thinks animals from within the given human standpoint, it cannot think the human from the animal standpoint. In other words, what this difference human/animal obfuscates is not only the way animals really are independently of humans, but the very difference which effectively marks the rupture of the human within the animal universe. Here psychoanalysis enters: what Freud calls “death drive” is his name for the uncanny dimension of the human-in-becoming. This In-between is the “repressed” of the narrative form (in Hegel’s case, of the “large narrative” of world-historical succession of spiritual forms): not nature as such, but the very break with nature which is (later) supplemented by the virtual universe of narratives. The answer to Derrida’s claim that every feature attributed exclusively to “man” is a fiction could thus be that this fiction has nonetheless a reality of its own, effectively organizing human practices – so what if humans are precisely animals which get committed to their fictions, sticking fully to them (a version of Nietzsche’s claim that man is the animal which can make promises)? I remember a photo of a cat after it was submitted to some lab experiment in a centrifuge, its bones half-broken, its skin half hairless, her eyes helplessly looking into the camera… this is the gaze of the Other disavowed not only by philosophers, but by humans “as such.” Even Levinas, who wrote so much about the helpless other’s face as the original site of the ethical responsibility, explicitly denied that an animal’s face can function like this. One of the few exceptions is here Bentham who made a simple proposal: instead of asking “Can animals reason and think? Can they talk?”, etc., we should rather ask: “Can they suffer?” Human industry alone is continuously causing immense suffering of animals which is systematically disavowed – not only laboratory experiments, but special regimes to produce eggs and milk (turning artificial light on and off to shorten the day, use of hormones…), pigs which are half blind barely able to walk, just fattened fast to be slaughtered, etc. etc. The majority of those who visit a chicken-factory can no longer eat chicken meat, and all of us know what goes on there, but this knowledge has to be neutralized so that we can act as if we don’t know. One of the ways to facilitate this ignorance is the Cartesian notion of animal-machine: Cartesians were warning people against compassion with animals. When we see an animal emitting sounds of pain, we should always bear in mind that these sounds do not express any real inner feeling – since animals do not have souls, they are just sounds generated by a complex mechanism of muscles, bones, fluids, etc., that one can clearly see through dissection… The problem is that the notion of animal-machine has to end up in La Mettrie’s L’Homme-Machine: if one is a fully committed neuro-biologist, exactly the same claim can be made about sounds and gestures emitted by humans when they are in pain; there is no separate interior domain of soul where pain is “really felt,” such sounds and gestures are simply produced by the complex neuro-biological mechanisms of the human organism. Following Benjamin, Derrida thus interprets this reversal in the sense that what makes nature sad is not “a muteness and the experience of powerlessness, an inability ever to name; it is, in the first place, the fact of receiving one’s name.” Our insertion into language, our being given a name, functions as a memento mori – in language, we die in advance, we relate to ourselves as already dead. Language is in this sense a form of melancholy, not of mourning: in it, we treat an object which is still alive as already dead/lost, so that when Benjamin speaks about “a foreshadowing of mourning,” one should take this as the very formula of melancholy. There is, however, a barely concealed ambiguity in Derrida’s claims: if sadness is prior to muteness (lack of language), if it causes muteness, is then the primordial function of language to release/abolish this sadness? But if this is the case, how can then this sadness originally be the sadness of receiving one’s name? Am I left without words at the unheard-off violence of someone naming me, sticking a symbolic identity onto me without asking me for consent? And how can the sadness caused by this reduction to the passivity of being-named be experienced by nature itself? Does such an experience not presuppose that one already dwells in the dimension of naming, of language? Should one not limit such a claim to so-called domestic animals? Lacan noted somewhere that, while animals do not speak, domestic animals nonetheless already dwell in the dimension of language (they react to their names, run to their master when they hear it, obey orders, etc. ), which is why, although they do not have access to “normal” subjectivity, they can nonetheless be affected by (human) pathology: a dog can be hystericized, etc. So, to return to the sad perplexed gaze of the cat submitted to cruel lab experiments, what this gaze expresses is perhaps the cat’s horror at having encountered The Animal, namely ourselves, humans: what the cat sees is ourselves in all our monstrosity, and what we see in its tortured gaze is our own monstrosity. In this sense, the big Other (the symbolic order) is already here for the poor cat: like the prisoner in Kafka’s penal colony, the cat suffered the material consequences of being caught into the symbolic gridlock. The cat effectively suffered the consequences of being named, included into the symbolic network. To resolve this problem, should we distinguish between TWO sadnesses: the sadness of natural life prior to and independent of language, and the sadness of being named, submitted to language? There is, first, the “infinite melancholy of all living,” a tension, pain, which is resolved when a Word is spoken; then, however, the pronunciation of a Word itself generates a sadness of its own (referred to by Derrida). Does this insight into the intimate link between language and pain not bring us close to Richard Rorty’s definition of humans as beings who suffer and are able to narrate their suffering – or, as Derrida put it, man as the autobiographical animal? What Rorty doesn’t take into account is the additional pain (surplus-pain) generated by language itself. Maybe, Hegel can show us a way here, when he interprets gravity as an indication that matter (nature) has its center outside itself and is condemned to endlessly strive towards it; spirit, on the contrary, has its center in itself, i.e., with the rise of spirit, reality returns back to itself from its self-externalization. Spirit, however, is only actual in human thought whose medium is language, and language involves an even more radical externalization – nature thus returns to itself through a repeated externalization (or, as Schelling would have put it, in language, a subject contracts itself outside itself). There is an underlying necessity at work here: every speaker – every name-giver – HAS to be named, has to be included into its own chain of nominations, or, to refer to the joke often quoted by Lacan: “I have three brothers, Paul, Ernest, and myself.” No wonder that, in many religions, God’s name is secret, one is prohibited to pronounce it. The speaking subject persists in this in-between: prior to nomination, there is no subject, but once it is named, it already disappears in its signifier – the subject never is, it always will have been. This is what Chesterton called “thinking backwards”: we have to put ourselves back in time, before the fateful decisions were made or before the accidents occurred that generated the state which now seems normal to us, and the royal way to do it, to render palpable this open moment of decision, is to imagine how, at that point, history may have taken a different turn. With regard to Christianity, instead of losing time with probing into how Christianity related to Judaism, how does it misunderstand the Old Testament when it incorporates it as announcing the arrival of Christ, and trying to reconstruct how Jews were prior to Christianity, unaffected by the retroactive Christian perspective, one should rather turn the perspective around and “extraneate” Christianity itself, treat it as Christianity-in-becoming and focus on what a strange beast, what a scandalous monstrosity Christ must have appeared to be in the eyes of the Jewish ideological establishment. The hyperbolic case is here provided by those rare societies which, till now, succeeded avoiding contact with “civilization.” On May 2008, media reported on the discovery of an “uncontacted tribe” in the thick rainforest along the Brazilian-Peruvian frontier: they never had any contact with the “outside world” of global civilization; their life was probably unchanged for over 10000 years. Photos of their village were released, taken from a plane. When anthropologists first overflew the area, they saw women and children in the open and no one appeared to be painted. It was only when the plane returned a few hours later that they saw these individuals covered head-to-toe in red: “Skin painted bright red, heads partially shaved, arrows drawn back in the longbows and aimed square at the aircraft buzzing overhead. The gesture is unmistakable: Stay Away.” They are right: contact is usually a disaster for such remote tribes. Even if the loggers do not shoot them or force them off their land, diseases against which these isolated humans have no resistance typically wipe out half an uncontacted tribe’s numbers in a year or two. Our civilization is for them literally a melting pot – they melt and disappear in it, like the ancient underground frescoes in Fellini’s Roma which were protected as long as they were isolated in the underground vacuum; the moment (very careful and respectful) researchers penetrated their domain, they started to disappear… We often ask ourselves how we would react to meeting aliens much more developed than ourselves – here, we ourselves are these people’s aliens. Therein resides the horror of these pictures: we see the terrified natives observing an inhuman Other, and we ourselves are this Other. How, then, do we, humans, affect nature? When fires raged in Peloponese in the Summer of 2007, one of the photos of the ravaged area showed a field of large cactuses which were half-burned in such a strange way that they appeared not so much burned as half-melted, their shape protracted in a multitude of ways, somehow like Dali’s famous painting of the “melted” clock, twisted in the middle like a thick soft pancake. What makes such images so fascinating is the way they represent not only a destruction of reality, internal to reality, but a destruction of the very texture of reality, of the reality’s basic coordinates. The first effect is that of a denaturalized nature: the half-destroyed nature loses its “organic” character, it appears as a bricolage, an artificial composite of heterogeneous elements chaotically thrown together. The second effect is that of a temporal disturbance: it seems as if we are no longer dealing with nature in its regular rhythm of generation and corruption, of growth and decay, but with a twisted space in which, in an obscene way, as in the case of cancerous protuberances, new forms of life grow out of decay itself. The third effect is that of a multiple anamorphic spatial distortion: when plants appear as partially “melted,” unnaturally prolonged in different directions, it is as if the object itself, in its distorted material reality, incorporates multiple perspectives, fractured views of how we would perceive it if we were to look at it from different standpoints. It thus appears that one can no longer clearly distinguish between the object’s immediate reality and the subjective perspectives on it – the distortion of looking awry at the object is inscribed into its very objective reality. In Hegelian terms, such a landscape embodies the coincidence of the extremes of In-itself and For-us: the first impression is that, when we catch a sight of such weird piece of earth, we momentarily got a look into nature in its monstrous pre-human In-itself; however, it is precisely as such that nature inscribes, in the guise of its distortion, the monstrosity of man, its awkward place within nature. Man IS such an anamorphic distortion of nature, a perturbance of the “natural” rhythm of generation and corruption. When we hear a statement like Holderlin’s famous “poetically dwells the man on this earth,” we should not imagine man’s dwelling as a hut near a stream beneath a forest, but precisely as such a distorted “denaturalized” landscape. Jacques Derrida, The Animal That Therefore I Am, New York: Fordham University Press 2008. G.K.Chesterton, The Everlasting Man, http://www.dur.ac.uk/martin.ward/gkc/books/everlasting_man.html#chap-I-i.